Sneak Preview: Kurt Hills Gazetteer! Here’s a sneak peek at another section of our upcoming Kurt Hills Map & Gazetteer for Bethorm! This map section attaches to the east side of the Katalal Map. The full Kurt Hills map will consist of 36 areas this size, plus descriptions. We’ll be launching a Kickstarter to fund the completion of this massive project in a few weeks, so stay tuned! I still haven’t launched a Kickstarter to fund it (and won’t ’til after the holidays), but Manda and I are hard at work on the Kurt Hills Atlas project. 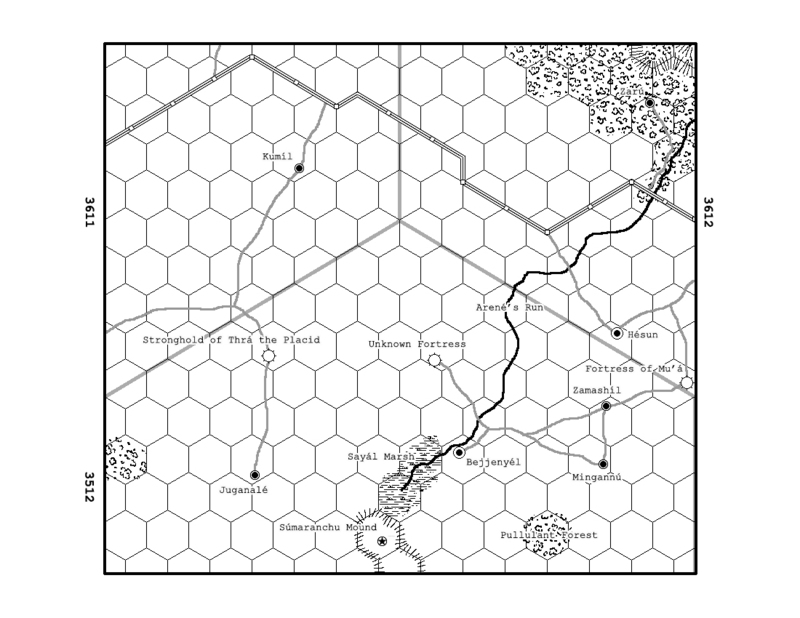 15 of the 46 hexes are mapped, and gazetteer entries are completed for 4 of them. 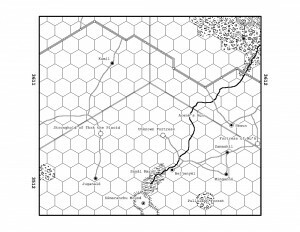 I just finished mapping hex 3613, with the City of Hauma. Fun! I’ll try to post some more preview pics soon.